Karen, Tutor in Malaysian University. Raphael, Jazz Vocalist & Teacher. Years of teaching singers have provided Sharny with a good idea of what singers need when they are at home trying to work on their voice and singing ability. It’s much easier with someone sitting there accompanying and encouraging you along. So on these CDs Sharny is demonstrating the exercises and playing for you! Many singers who use them will tell you they are fun to use! 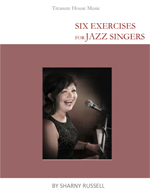 They come in a little booklet which provides the music score and instructions for each exercise. Sharny also tells you the specific benefit of each exercise, so you can tailor your practice session to your needs. You don’t have to do all the exercises on the CDs in one session. 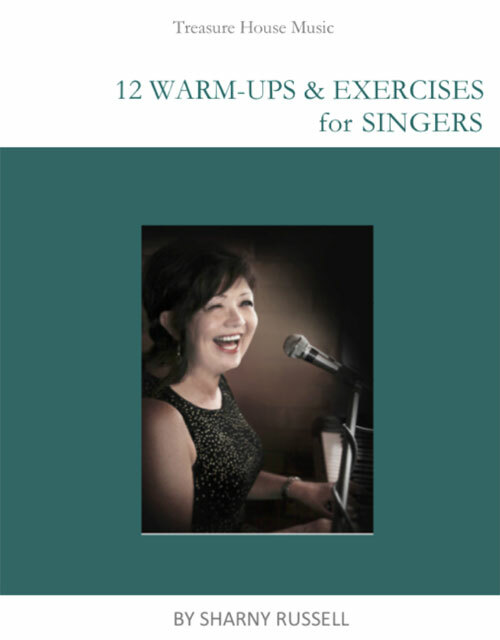 12 Warm-ups and Exercises is for ALL singers and, apart from great voice training exercises throughout your range, includes basic diatonic and chromatic exercises, broken chord singing and a harmony exercise (CD in Booklet). Six Exercises for Jazz Singers is exactly that – designed to train the singer in different feels and styles of Jazz, with improvisational type lines, and at the same time, working right through your entire range (CD in Booklet).